It hasn’t been done in the AFL era and many would expect that to change this season. I’ve heard people label Gold Coast’s list this year as the worst since Fitzroy in 1996 which was their last season before the merger. The Suns won four games last year including what has been called one of the biggest upsets of all time, a win against Sydney at the SCG. But all the clubs around them in the bottom four have improved their squads. St Kilda have signed Daniel Hannebery, Carlton have signed Mitch McGovern and Alex Fasolo and Brisbane have signed Lachie Neale and Marcus Adam, but have lost Dayne Beams. Gold Coast’s squad has not improved though. They’ve lost Aaron Hall, Jack Scrimshaw and Kade Kolodjashnij but the main losses have been their co-captains Steven May and Tom Lynch. In the 2017 season when Lynch was fit and firing, he bagged 44 goals in 19 games, with Peter Wright on 31 goals behind him. Steven May on the other hand was top of the Suns marks count in 2018, with 127 in only 17 games, Jarrod Harbrow and Lachie Weller were behind with 93. Sure they’ve made some signings, like Corey Ellis, Anthony Miles, George Horlin-Smith, Jack Hombsch and Jordan Murdoch plus some top draftees like Jack Lukosius, Izak Rankine and Ben King but there is no big player in there unless you want to count David Swallow. They may have a chance when they’re at home to Carlton in Round 4, but to be fair, I don’t think Gold Coast will win a game. How good was it to see Richmond crack 100,000 members last year? It meant that around 1 in every 250 people in Australia was a member of the Tigers. There is a healthy number of Tigers fans where I live in WA, and I’ve even seen Richmond membership stickers on the back of cars. The main reasoning behind this is that all the Tigers supporters who have gone into their shells as they hadn’t been so good recently, have got excited about winning another premiership. The Pies have always had one of the biggest supporter groups in the country and this year, their hopes will be ups with the addition of premiership winning midfielder Dayne Beams plus promising academy product Isaac Quanyor, Collingwood will be a big premiership contender. I can guarantee that the Magpie Army will be intriguing this year. We should see plenty of stickers and number plates all around the country and this will add up to Collingwood being the second team to crack the 100,000-member mark. It’s pretty fair to say that Fremantle’s list is a little underrated. 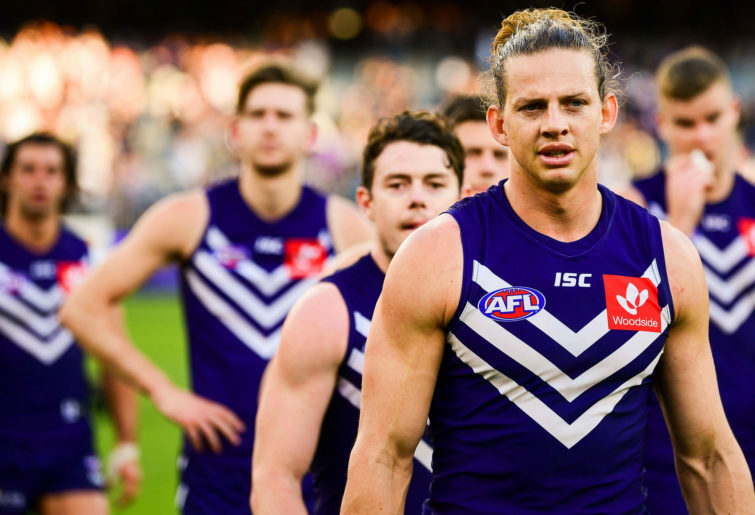 Look at Nat Fyfe, last year he only played 15 games but was third highest in team handballs, second in clearances, equal third in frees for and second in contested marks. Imagine what a 23-game Fyfe could do. Then you’ve the Dockers’ big recruit in Jesse Hogan who only played 20 games for Melbourne last year but got second in marks, second in goals, second in behinds, second in frees, third in contested marks and fourth in percentage played. Nat Fyfe and Jesse Hogan will get injured. Fyfe has done his leg, his shoulder, and pretty much every part on his body sustaining around one injury every season. Hogan injured his foot late last season. So for the rest of the season, Fremantle won’t have a big name midfielder or a big name forward and will go on to win three of their next 13 games and miss the finals. There isn’t a lot of evidence that Dylan Shiel is going to fail at the Bombers but the reasons come to a different place. When Shiel came to Windy Hill, everybody started to think that Essendon would become a premiership contender or at least make the top eight. So judging by this, everybody thinks that Dylan Shiel is going to be the game changer for the Bombers. If Essendon don’t have a good season this year, can we all blame it on Dylan? Last year, Shiel was only fourth in the GWS Giants kick count, second in the handball count, kicked only six goals and spent around 78 per cent of time on the field. Is this the sort of player who would transform a team from outside the top eight, to a possible top four team? He may have a good season but maybe not as much as we think he will. The recent AFL draft was labelled by many as one of the greatest draft pools we have seen in a long time. It contained many standout players such as Sam Walsh, Jack Lukosius and Izak Rankine. It’s tough to find stats for JLT Community Series games but I’ve been able to find some fantasy points. Sam Walsh was the second highest fantasy point score for Carlton in the two JLT series games with only Patrick Cripps above him. A big contributor to the Blues win against Essendon and three point loss to Collingwood. 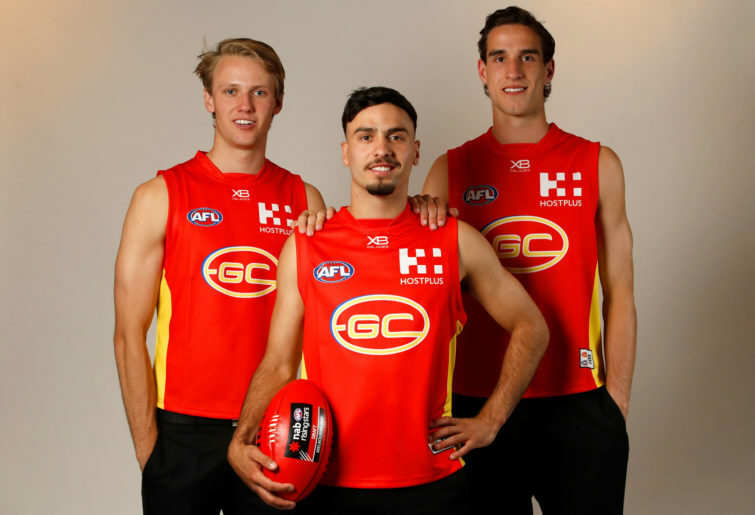 With three of the top six draftees playing in a team that I have listed to not win a game this year, being Jack Lukosius, Izak Rankine and Ben King for Gold Coast, they don’t need to do much to be a standout player. So those three look like standouts so far to help the 2018 Draft Class to be a great one. And don’t forget Max King playing for his club, St Kilda, and Connor Rozee playing in his home state for Port Adelaide. Any other bold predictions? Leave them below.